The London Foodie: Hakkasan Mayfair’s Year of the Rooster CNY Menu – Big, Decadent and Outstanding Value! Hakkasan Mayfair’s Year of the Rooster CNY Menu – Big, Decadent and Outstanding Value! 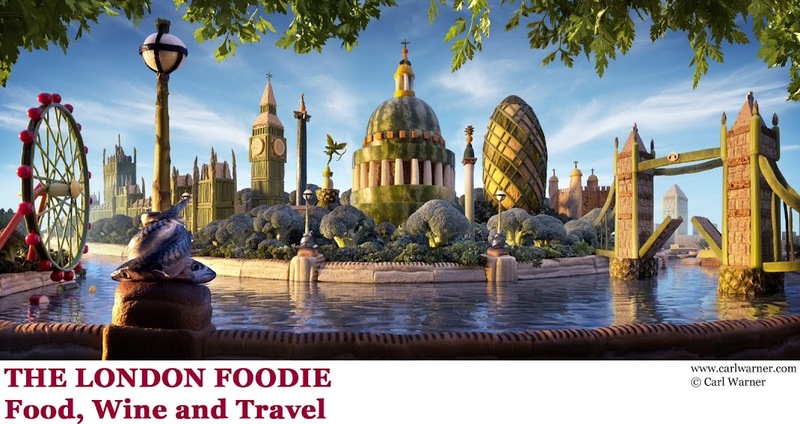 Cost: The Chinese New Year Signature menu costs £108 per person and includes 11 dishes, or £88 for 9 dishes. About: Opened in November 2010, Hakkasan Mayfair on Bruton street is just a few metres from swish Berkeley Square. With one of the most discreet entrances I have encountered in any London restaurant (you would probably miss it if you were not looking for it), we were surprised to see how large and manically buzzy the restaurant was once we were through its front door. On a cold, mid-week, January evening, the place was heaving! Hakkasan Mayfair spans over two floors for up to 220 guests - the lower ground floor has the familiar and intimate Hakkasan setting as in the original Hanway Place, made up of a number of rooms partitioned by intricate wooden screens, whilst the ground floor features a relaxed dining space with high chairs and tables and a coveted bar area. Both floors feature a DJ beat of funky music and low-level lighting, while along its walls is surely one of the longest, swankiest cocktail bars in London. Executive Head Chef Tong Chee Hwee oversees the kitchen, where dishes unique to Hakkasan Mayfair have been created, such as steamed New Zealand mini lobster, Black truffle roast duck, and Sliced blue abalone in Hakka sauce. Chef Tong is based at HKK, Hakkasan’s sister restaurant located in the heart of the City which I visited earlier this week – see my 2017 HKK CNY review here). What We Ate: Hakkasan Mayfair’s 2017 CNY Signature Menu, available only until the 11th February, is divided into 3 small eats, 3 mains, 1 vegetable and 1 rice accompaniments, and 3 desserts. We started with the first small eat - the traditional CNY prosperity salad – this version, aptly named ‘Fortune Tale’ came with two separate dressings (sesame oil and plum sauce), and a fresh and healthy combination of various raw crunchy ingredients including julienned carrot, cucumber, mango and onion, pomelo and pickled ginger. 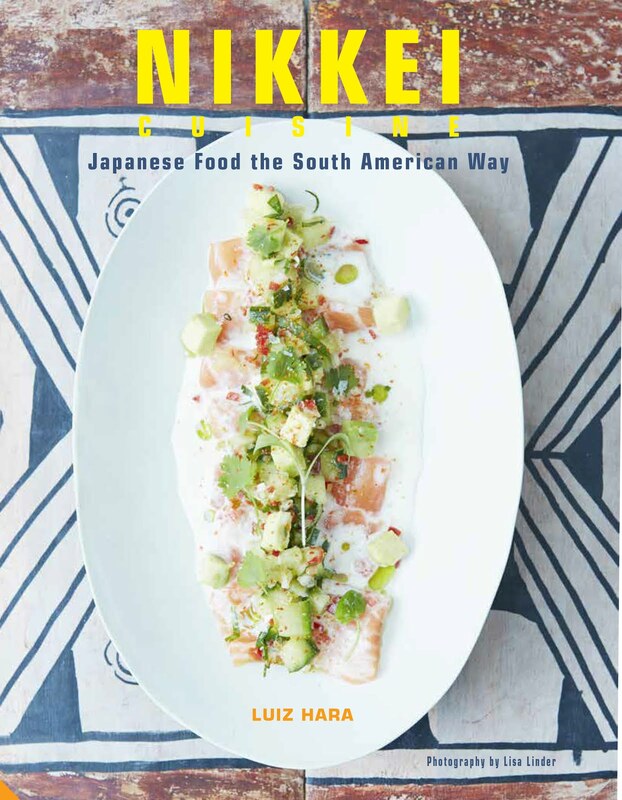 Rather than the traditional raw salmon, the salad contained roast chicken, crispy chicken skin and deep-fried sweet potato. I could also taste deep fried crispy pastry, coriander, jellyfish, mooli and black fungus. Yep, we certainly got our 5-a-day with this salad! Typically served to start a family New Year meal, all the guests stand and toss the salad high in the air with their chopsticks while saying auspicious things to bring good luck, health and prosperity in the New Year. Next was the double boiled fish maw and chicken soup – this had a superbly flavoured broth and little morsels of tender chicken, spongy and gelatinous-textured fish, lotus seeds, slices of fresh coconut flesh and goji berry. Delicate, yet intensely flavoured, this was the finest soup I have tasted at the Hakkasan group. The last of our small-eats was the braised Chilean abalone with wind-dried oyster and gold leaf over bok choi. This was another winning dish – the abalone had great texture paired with an intense, rich umami flavour from the dried seafood. The sauce was also delectable – rich and velvety. For mains, the menu started with stir-fried lobster in white pepper soup. Gorgeously presented on the lobster tail shell, with fried slivers of pastry, water chestnuts and edible flowers, the lobster had a delicious charred flavour while remaining soft and succulent. We also enjoyed the dish’s gentle heat from the smattering of red Sichuan peppercorns. But the highlight of our meal was the steamed turbot in supreme stock laced with saffron – this contained four greatly textured turbot fish fillets wrapped around enoki mushrooms and with heavenly accompaniments of sweet caramelised garlic and cloud ear mushroom. Less successful though was the sautéed duck breast in spicy bean sauce - but then that turbot was a tough one to follow! For me, the duck had a rather unusual, soft and spongy texture I couldn’t put my finger on – I asked the waiter about this but could not get an explanation as the chef was too busy. I guess for that texture, the meat might have been coated in flour and lightly poached in water before being sautéed. The duck was served with julienned slices of red and green pepper, onion and lotus root. The sauce though nicely spiced was a tad too sweet for my palate. Overall, I did not feel this dish was in keep with the rest of the CNY menu. The stir-fry selection of mushrooms (enoki, oyster, shiitake and king) came on a bed of crunchy long stem broccoli, in a deliciously rich and creamy abalone sauce, topped with goji berries. To accompany, we had a bowl of salted-egg fried rice with spring onion. This was my first time trying salted-egg fried rice, and it was another revelation – full of flavour and so delicious, where had it been all my life?! Olivier, the assistant restaurant manager taking our order on the night, told me to go easy on the rice as the menu was rather substantial, but of course I totally failed. Hakksan Mayfair CNY menu has 3 desserts. The first was the stunning "Golden Feather", a huge mock egg made up of white chocolate shell filled with white panna cotta for egg white, mandarin and ginger custard as yolk. The egg was served on an edible bed of dainty chocolate feathers and straw. The deep-fried sesame balls came with deep fried seaweed and filled with golden yellow custard instead of the more usual black sesame paste. Last but not least, dessert number 3 was a rice cake filled with steamed custard and red bean. Shaped like a gold fish, with edible gold at the head, this was a mochi-like dessert served warm and beautifully presented. What We Drank: Hakkasan Mayfair offers an extensive list of Champagnes and wines, with the entry level white being a Verdejo "Dados" from Rueda, Spain at £34, while the red is a Rioja Graciano "Altos Ibericos" from Torres, Spain (£36). In keeping with its Mayfair location, it also offers an extensive range of top flight wines including a 1995 Petrus (£4,888). There is also a wide range of sakes, sherries and cocktails. The CNY menu cocktail (£13.50) was a long Waltzing Collins, with baijiu (Chinese spirit), sake, mandarin, lemon, grenadine, cucumber and sparkling wine. This was refreshingly tart with a great balance of sweetness and citrus acidity. With our meal, we shared a bottle of Santorini, Hatzidakis (£44) - a well-structured, intensely minerally wine, robust enough to stand up to all the dishes on the menu, including the duck. This was a great wine and surprisingly well priced. 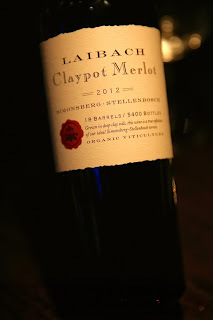 As a special treat from Olivier, we were offered a couple of glasses of red wine he wanted us to try - a Laibach Claypot Merlot 2012 from Stellenbosch, South Africa (£62/bottle). Originally sourced by Alan Yau himself for the Hanway Place branch, it still only available at Hakkasan and not on the high street. This was a rich, concentrated, wine of black berry fruit, with gentle tannins and a long finish. I was also very pleased to hear from him that the Hakkasan Group send nearly all their staff on to the Wine & Spirit Education Trust courses to at least to level 2. 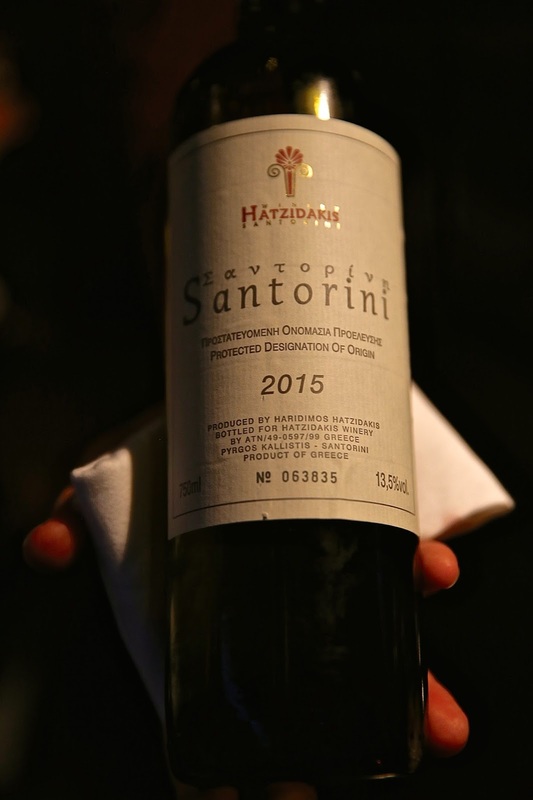 This partially explains the good level of service and knowledge by the sommeliers and waiting staff at the group’s restaurants. Likes: For me, the biggest highlight was the turbot, though the salted-egg rice, the chicken and fish maw soup, the abalone and dried oyster, and the lobster were also sensational. The £108 CNY menu is incredibly generous, and I had to be nearly rolled out of the restaurant by the end of our meal. If you are not a big eater, I suggest going for the £88 menu and having 9 dishes instead (as opposed to the full 11 dishes on the £108 menu). Oliver was right – I should have gone easy on that rice, but then it was too good to leave behind! Dislikes: In my opinion the duck was not in keep with the refinement of the rest of the menu. Verdict: Hakkasan Mayfair’s Year of the Rooster menu is available only until the 11th February, and I urge you to try it, that is, if you can still book a table! It is big, decadent and outstanding value. Very highly recommended.